One of the reasons of facial hair in women is hereditary. This problem is inherited from your ancestors and can be related with ethnic background or race. Side effect of some drugs may contribute to unwanted facial hair. These medicines may be given to cure asthma, after organ transplant, body building drugs or to treat various psychological disorders. Hirsutism, caused by hormonal imbalance in women, leads to excessive dark hair growth on the face chest, abdomen and back. Other symptoms include decreased breast size, irregular menstruation, deepening voice and acne. It happens due to increased secretion of androgens in women. PCOS sometimes called as polycystic syndrome disorder, is fairly common in women of childbearing age. In this, cysts on the ovaries cause excessive facial hair growth. Such women also suffer from high levels of androgens and irregular menstruation, acne, weight gain, high cholesterol and infertility. Once PCOS is under control, facial hair growth will not get any worse. Facial hair growth caused by PCOS can get rid of hair by laser hair removal or electrolysis. When the adrenal glands produce too much cortisol, an overdose of cortisol in blood stream can cause hormonal imbalance which leads to excessive facial hair. This condition may also occur because of a tumor in the body, or a side effect of corticosteroid medications. Other symptoms include headaches, weight gain and fatigue. Hormonal imbalances during such periods can also increase facial hair. Hot flashes are also experienced due to loss estrogen and an increase in testosterone. Some women also experience depression, irregular periods and mood swing. 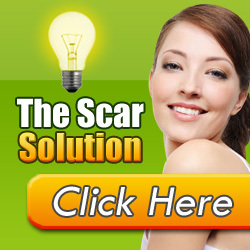 There are various methods which one can adopt to remove unwanted hair. Here are mentioned some methods to solve your unwanted hair problem without making the skin hard or unattractive. Your doctor may prescribe such medicines that may block excessive production of male hormones in your body. Medical professional may prescribe birth control pills to decrease androgens or may prescribe birth control pills with anti-androgen medicines. In case polycystic ovary syndrome doctors normally advise combination of birth control pills, anti-androgen hormones and surgery. In electrolysis a small electric current is delivered through a needle into the hair follicle to remove facial hair permanently. Electrolysis destroys the cells that cause the hair to grow. The hair will release and slide right out and it won’t grow back there again. This technique is best on women with darker facial hair. In laser technique energy goes through the hair shaft to the follicle to destroy the hair’s root. Laser technique does not work on white hair and less effective on blond hair. This process requires periodic treatments for complete hair removal. Waxing, Shaving, Epilators, Plucking or tweezing. For more details about these processes see removal of unwanted hair. Nothing beats natural cures and treatments as far as taking care of the skin is concerned. Though they take some time in showing effect, they are definitely the safest of all. 1. Mix gram flour, turmeric and water or curd properly to make smooth paste and apply on affected area and let it dry. Gently rub off when it dries. 2. Make a paste of sugar, lemon and water. With the help of a face brush, apply it in the direction of hair growth. Leave on for 10-15 minutes and then rinse off. Apply twice a week. 3. Mix lemon juice, honey and sugar and keep it on simmer heat to get smooth consistency. Apply the paste properly at the affected area and cover it with a cloth by pressing. After sometime pull out the cloth. 4. Make a paste of 1 tbsp fresh lemon juice and 4 tsp honey. Using a face brush, apply it on your face, in the direction of hair growth. Leave on for 10-15 minutes and then rinse off. Apply twice a week.